Read might be starting to develop a bit of a complex in the Ribblesdale Cricket League. The 10-time champions, who haven’t secured the title since winning it for a third time in succession in 2004, have always seemed to be the bridesmaid but never the bride in recent campaigns. In 2012 the club finished as runners up in the division for a third time on the bounce and they’ve rounded off the campaign as second best twice since. Three years ago they played second fiddle to recently usurped Lancashire League supremos Clitheroe and on this occasion they were pipped to the post by Oswaldtwistle Immanuel. And it’s been a similar tale of events for Whalley Road professional Matthew Walker who, after an outstanding season with the bat, couldn’t eclipse the return of Ossy paid man Shubham Khajuria. The former Lowerhouse amateur closed the term with 814 league runs from 17 innings, compared to the Indian’s 1,075 run total. However, nobody could touch Walker in the batting averages and high score department. Perhaps a sign that the tables are turning in Read’s favour ahead of the 2019 season. For the second time in as many seasons, the talismanic pro hit in excess of 200 runs in a single match. The all-rounder finished up with 210 against Cherry Tree last term, but inflicted even more damage on Feniscowles in the penultimate fixture of this campaign, closing the innings unbeaten on 251. 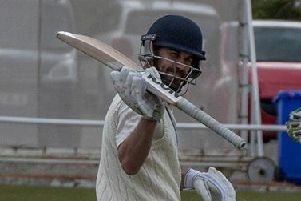 Though that didn’t top the overall charts – as Salesbury’s former Sri Lankan pro Amal Athulathmudali made 275 against Brinscall in 2014 – it is the best figure on record for an unbroken knock, beating Baxenden’s Babaar Naeem’s 226 not out. His seasonal average of 74 also trumped that of Khajuria, who finished the season on 67.19. “I got 200 last year but I think the record is 270-odd,” he said. “It’s not a league record but stuff like that doesn’t really bother me. It’s nice though. My 210 against Cherry Tree last year was the highest ever score for a first team player at Read in the Ribblesdale Cricket League. This one usurps that. After confirming that he’ll be staying on at Read, Walker said: “The club has been really good to me. “I like playing my cricket there. Andy Turner, the chairman, has really looked after me. The ground is one of the nicest around as well so I’m really happy here. “I’ve signed on for next season but beyond that it all depends what the club wants. I can’t see myself moving anywhere. I’ve taken on an under 11s side as well so it will be nice to see how far I can take some of the juniors. It will be good to try and develop these younger players. Walker wasn’t quite as prominent with the ball but he still featured in the list of the league’s top 15 wicket takers. 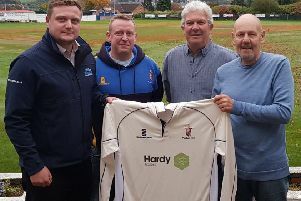 The 25-year-old claimed 39 scalps in total, at an average of 17.05, with a high score of 5-5 which came in victory over Senior League B champions Salesbury at Ribchester Road in May. There’s also a mention for former skipper Kyle O’Connor in the order of merit. The wicket-keeper contributed to 13 dismissals, made up of nine catches and four stumpings, to push him in to the top 10. Meanwhile, Callum Clarke was Padiham’s representative in the individual honours list for batting performances. The one-time Arbories captain was the seventh most prolific batsman in the hierarchy after posting 554 runs in 17 overs played. The 30-year-old scored at an average of 34.63, the eighth highest in the division, with a high score of 109, ranked fourth, coming against Baxenden in June. With Clarke scoring the runs that helped preserve Padiham’s status in the top flight it was up to professional Siviwe Gidana and Toby Burrows to add the wickets. The South African professional was rated as the league’s eighth best bowler, tied on 44 wickets with Salesbury’s Sam Bristol and Oswaldtwistle Immanuel’s Andreas Sudnik. His average of 15.8 was the 11th best return on record of bowlers who had taken 25 wickets or more though his figures of 8-13, taken against Baxenden, blew everybody else’s numbers out of the water. Burrows was just as impressive. He took one wicket less than his pro over the course of the season, rounding things off with an average of 19.3 and adding numbers of 6-44 at home to Brinscall in August. Owen Deakin-Pickard’s statistics in the field were good enough to get him a mention as the wicket-keeper took 11 catches from behind the stumps.